Born: 1794 in Raynham Ma. Died: March 7, 1857 in Sandwich Ma. at 63 yrs, 2 mos. 1. 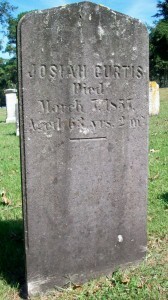 Laura W. Curtis Redding; (March 1, 1828 – June 28, 1851); Married Seth H. Redding, Capt. (Abt.1821 – 1850) (Calvin Redding & Lucy (Hall) Morse); Laura & Seth are in Cataumet Cemetery. 3. Hannah Townsend Curtis Nye; (August 27, 1832 – January 6, 1888); Married David Dimmick Nye (1833 – 1910) (Ebenezer Nye, Jr. Capt. & Syrena Dimmick) in Sandwich Ma. on July 30, 1862; David married (2) Esther F. (Eaton) Dennis (1843 – 1922) (Frederick Eaton & Catherine Kern) in Bourne Ma. on October 4, 1888; Esther married (1) George H. Dennis (1843 – 1883) (William Dennis & Mary Crygier) in Sandwich Ma. 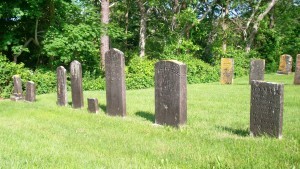 on June 21, 1863; Hannah, David & Esther are buried together in Cataumet Cemetery. 4. Horace W. Curtis; (? – August 19, 1838); Horace died young & is buried in Cataumet Cemetery.